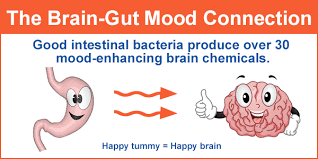 I’m alway curious about the latest research and findings regarding how our gut affects our brain, more specifically, our mental health. So I’m always asking questions to Paul, the pharmacist of Inish Pharmacy. Recently he mentioned ‘Zenflore’ to me. 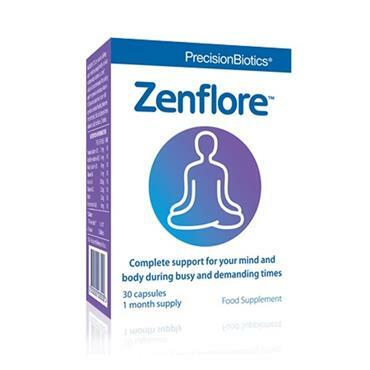 Zenflore is a psychobiotic.But first, let us get our heads around the Brain-Gut axis. 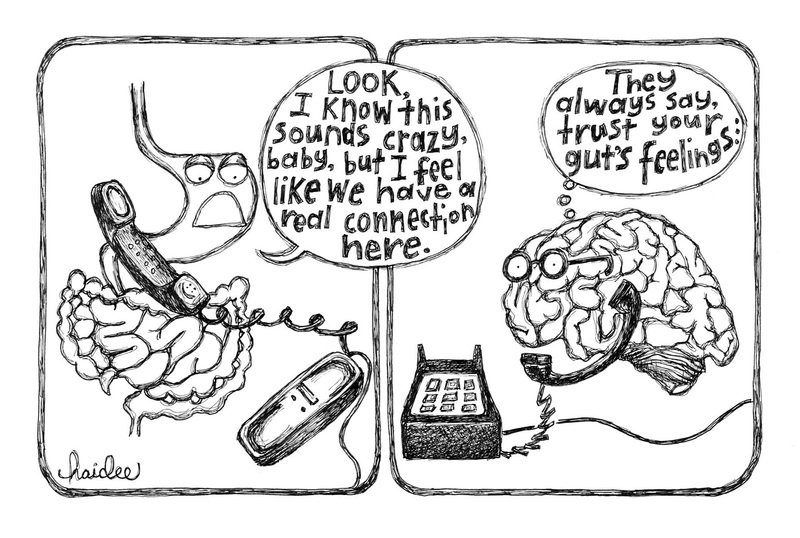 We feel our emotions in our stomach. We get feelings of nausea when we’re scared and ‘butterflies’ when we’re nervous. It’s also makes sense why people with Irritable Bowel Syndrome (IBS) have flare-ups when they’re stressed or under pressure. Anxiety and Depression affect our stomach, and our stomach health can affect our mental health. 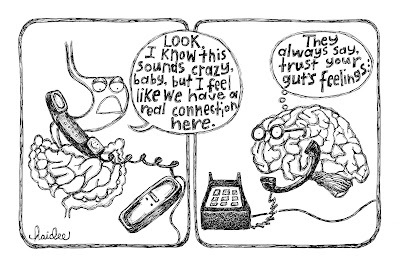 They’re inextricably linked. However, this doesn’t always mean your mental health is the sole reason to why you may have stomach/digestive issues; there are other reasons why you may have digestive issues. 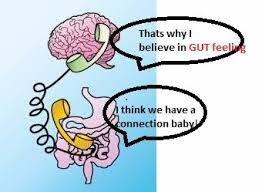 Harvard Medical School state that “the gastrointestinal tract is sensitive to emotion. Anger, anxiety, sadness, elation — all of these feelings (and others) can trigger symptoms in the gut." What are Psychobiotics and how can they help my mental health? Biotic’-relating to or resulting from living organisms (in our gut in this case). You’ll be familiar with those advertisements for Yakult or Actimel and their association with ‘good bacteria’. Psychobiotics are probiotics and prebiotics that can improve your mental health by changing the mixture of bacteria in your gut.500-100- species of bacteria live in the gut and are collectively known as ‘microbiome’.Our brains are subsequently affected by these species of bacteria, and the quantity of ‘Good Bacteria Vs. Bad Bacteria’ can considerably shift our moods, feelings of anxiety, thoughts and feelings. Nowadays, with the amount of processed foods and herbicides, we’re all likely dealing with some kind of microbiome distress and feeling it in our moods. Last month Paul sent me two bottles of the psychobiotic, Zenflore. I gave a bottle to my friend. I gave them to this particular friend because he has quite a demanding job and I wanted a first hand account from someone who deals with stressful situations to see if he felt that the Zenflore helped mitigated the symptoms of stress. Since he has started taking Zenflore he has claimed that he feels more equipped to deal with the onset of pressure and feels he can go to the gym more often after work because there were times he felt he didn't have the energy to do anything after work. I also take my usual mental health medication. For the last few weeks I’ve had motivation that I’ve never had before. I’ve been feeling more ambitious and doing much more work. Usually, I have to be careful with the amount of work I take on because my mental health condition can be easily triggered when I’ve overwhelmed. For once I can fulfill my ambition and get productive without feeling like I’m about to fall apart. I was even out at the weekend and even stayed out until closing. If you know me personally you’ll know that I turned from a partier into someone who couldn’t even deal with late nights never mind drinking.I couldn’t believe the energy I had and the mental energy I had to talk, to socialise and to actually just enjoy being out dancing without yawning every second and watching my phone to see if it was time to leave.On Saturday night I didn’t want to leave. A first in many, many years.So, whether it’s a combination of all my vitamins and supplements AND the Zenflore or not, I know the Zenflore is definitely doing something. I'll be starting to take it again. I don't recommend things to my clients unless I've tried them. 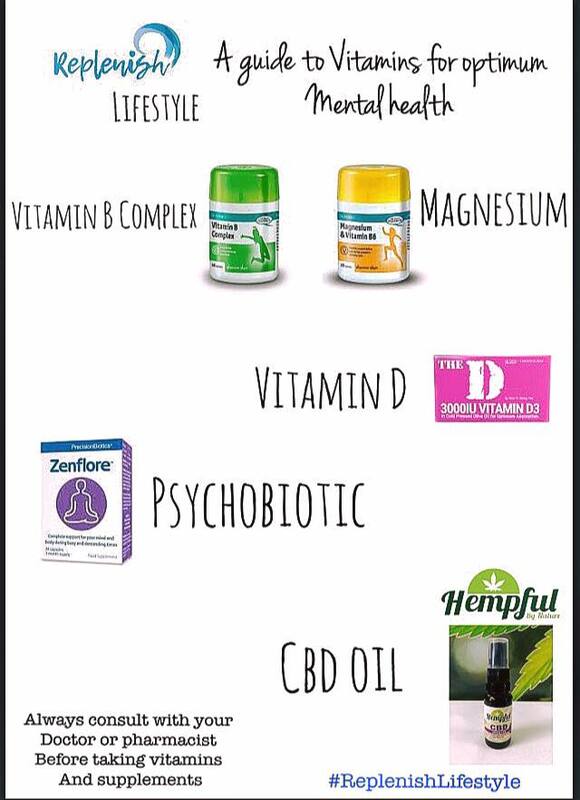 You can get in touch with Inish Pharmacy on their website if you’ve any questions to ask Paul.